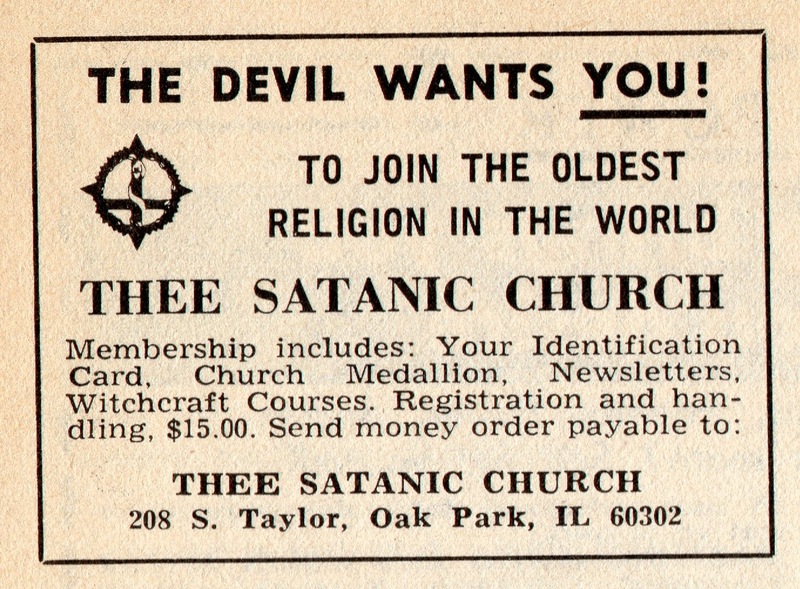 I recently came across this 1974 advertisement for Thee Satanic Church. 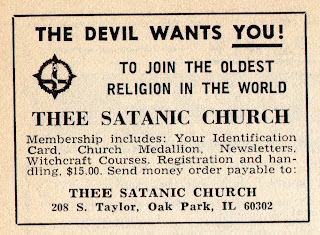 Not to be confused with the Church of Satan, Thee Satanic Church (at various times / incarnations known as Thee Satanic Orthodox Church of Nethilim Rite, among other things) was run locally by Terry Taylor. For more information, see the previous post about Terry Taylor and Satanism in Chicago. Does anyone know if Terry Taylor is still around?